A unique and quintessential Coolidge Corner 2 Bed, 2 Bath home with 1 Parking Spot, is now available. This home has been updated with a new en-suite master bathroom, Central Air Conditioning, in unit Washer/Dryer, hardwood floors, and new lighting. The main living and dining areas are flooded with natural sunlight and create the perfect space for entertaining guests and family. The kitchen features SS appliances, beautiful white cabinets, and classic granite countertops with a marble and glass backsplash. 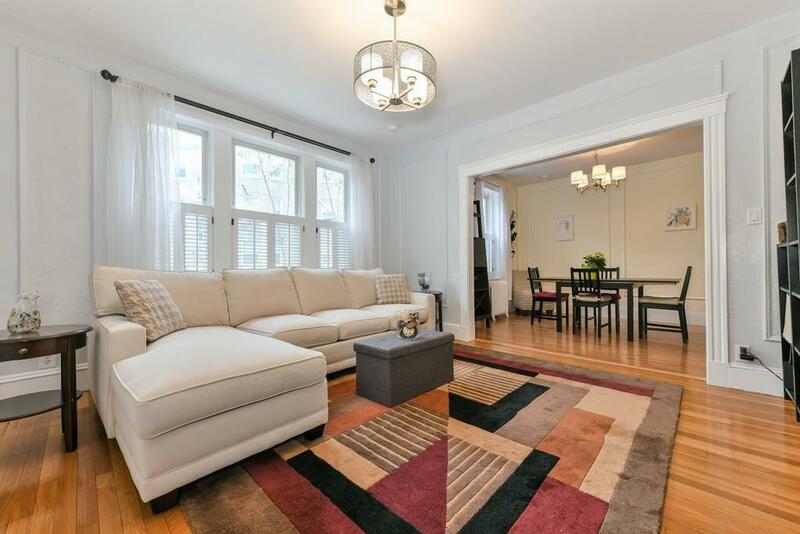 Located moments to the Green Line, this is the perfect downtown Boston commuter's dream home. Equidistant between Coolidge Corner and Commonwealth Avenue, enjoy the many wonderful shops and restaurants nearby and take advantage of everything Brookline has to offer! Open House Saturday and Sunday 12-2PM.